A medieval manuscript fragment of Finnish origin, about 1340–60. Utilized by the Dominican convent at Turku. The system arose from the early Christian custom of commemorating each martyr annually on the date of his or her death, or birth into heaven, a date therefore referred to in Latin as the martyr's dies natalis ("day of birth"). In the Eastern Orthodox Church, a calendar of saints is called a Menologion. "Menologion" may also mean a set of icons on which saints are depicted in the order of the dates of their feasts, often made in two panels. As the number of recognized saints increased during Late Antiquity and the first half of the Middle Ages, eventually every day of the year had at least one saint who was commemorated on that date. To deal with this increase, some saints were moved to alternate days in some traditions or completely removed, with the result that some saints have different feast days in different calendars. For example, St. Perpetua and Felicity died on 7 March, but this date was later assigned to St. Thomas Aquinas, allowing them only a commemoration (see Tridentine Calendar), so in 1908 they were moved one day earlier. When the 1969 reform of the Catholic calendar moved him to 28 January, they were moved back to 7 March (see General Roman Calendar). Both days can thus be said to be their feast day, in different traditions. 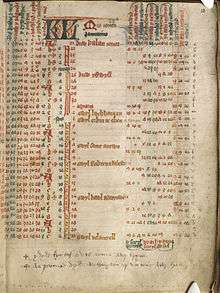 The Roman Catholic calendars of saints in their various forms, which list those saints celebrated in the entire church, contains only a selection of the saints for each of its days. A fuller list is found in the Roman Martyrology, and some of the saints there may be celebrated locally. The earliest feast days of saints were those of martyrs, venerated as having shown for Christ the greatest form of love, in accordance with the teaching: "Greater love has no one than this, that someone lay down his life for his friends." Saint Martin of Tours is said to be the first or at least one of the first non-martyrs to be venerated as a saint. The title "confessor" was used for such saints, who had confessed their faith in Christ by their lives rather than by their deaths. Martyrs are regarded as dying in the service of the Lord, and confessors are people who died natural deaths. 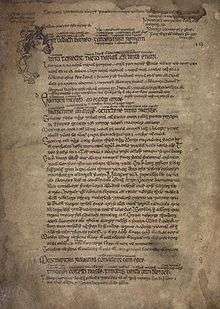 A broader range of titles was used later, such as: Virgin, Pastor, Bishop, Monk, Priest, Founder, Abbot, Apostle, Doctor of the Church. The Tridentine Missal has common formulæ for Masses of Martyrs, Confessors who were bishops, Doctors of the Church, Confessors who were not Bishops, Abbots, Virgins, Non-Virgins, Dedication of Churches, and Feast Days of the Blessed Virgin Mary. Pope Pius XII added a common formula for Popes. The 1962 Roman Missal of Pope John XXIII omitted the common of Apostles, assigning a proper Mass to every feast day of an Apostle. The present Roman Missal has common formulas for the Dedication of Churches, the Blessed Virgin Mary, Martyrs (with special formulas for missionary martyrs and virgin martyrs), Pastors (subdivided into bishops, generic pastors, founders of churches, and missionaries), Doctors of the Church, Virgins, and (generic) Saints (with special formulas for abbots, monks, nuns, religious, those noted for works of mercy, educators, and [generically] women saints). 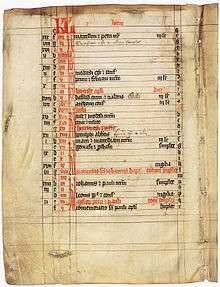 This calendar system, when combined with major church festivals and movable and immovable feasts, constructs a very human and personalised yet often localized way of organizing the year and identifying dates. Some Christians continue the tradition of dating by saints' days: their works may appear "dated" as "The Feast of Saint Martin". Poets such as John Keats commemorate the importance of The Eve of Saint Agnes. Feast days are ranked in accordance with their importance. In the present ordinary form of the Roman Rite, feast days are ranked (in descending order of importance) as solemnities, feasts or memorials (obligatory or optional). The 1962 version, whose use is authorized by the motu proprio Summorum Pontificum as an extraordinary form of the Roman Rite, divides liturgical days into I, II, III, and IV class days, as decreed by Pope John XXIII in 1960. Those who use even earlier forms of the Roman Rite rank feast days as Doubles (of three or four kinds), Semidoubles, and Simples. See Ranking of liturgical days in the Roman Rite. In the Eastern Orthodox Church the ranking of feasts varies from church to church. In the Russian Orthodox Church they are: Great Feasts, middle, and minor feasts. 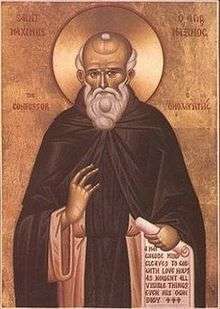 Each portion of such feasts may also be called feasts as follows: All-Night Vigils, Polyeleos, Great Doxology, Sextuple ("sixfold", having six stichera at Vespers and six troparia at the Canon of Matins). There are also distinctions between Simple feasts and Double (i.e., two simple feasts celebrated together). In Double Feasts the order of hymns and readings for each feast are rigidly instructed in Typikon, the liturgy book. In the Church of England, there are Principal Feasts and Principal Holy Days, Festivals, Lesser Festivals, and Commemorations. ↑ "feast – definition of feast in English from the Oxford dictionary". oxforddictionaries.com. ↑ "Relics and Reliquaries – Treasures of Heaven". columbia.edu. ↑ "Commemoration of St. Martin of Tours". All Saints Parish. Archived from the original on 2008-12-02. ↑ "Saint Martin of Tours". Britannica Concise Encyclopedia. 2007. Archived from the original on 2008-12-02. ↑ "Saint Charles Borromeo Catholic Church of Picayune, MS – General Norms for the Liturgical Year and the Calendar". scborromeo.org. Wikimedia Commons has media related to Saints days.